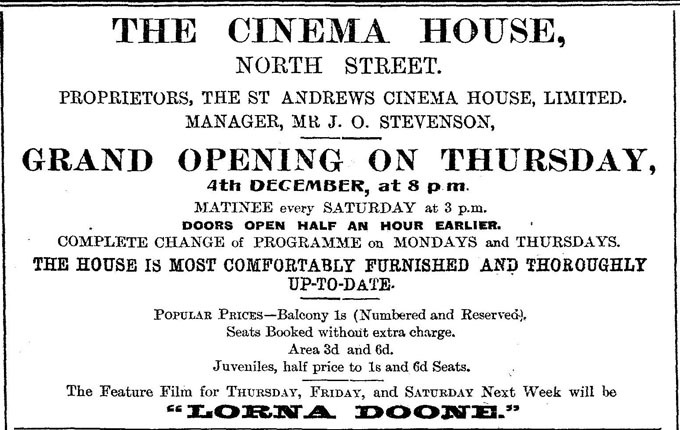 Following the move of La Scala in 1909, St Andrews welcomed its second picture house, opening in December of 1913. The Cinema House was the first cinema in town to be designed and built for the primary purpose of showing moving pictures. It was touted by The Citizen as being ‘admirably fitted for its purpose’ and offering patrons ‘every comfort.’ The grand opening ceremony was led by University Provost Herkless, signaling a connection between the town and university when it came to welcoming the cinema. 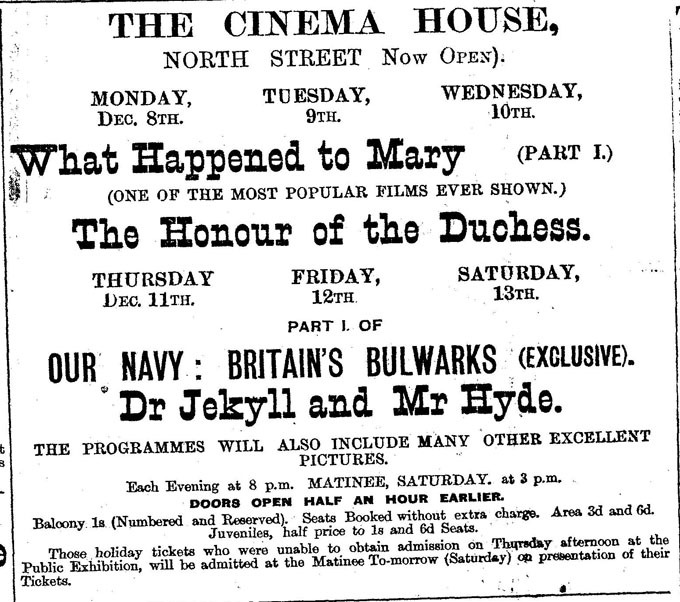 Herkless admitted it was his first time in a picture house, but he looked forward to future visits, as he felt that the cinema could benefit both the town and university. After his initial reservations, he said he wanted to embrace the Cinema House as ‘a place of education’ as well as a place of recreation for hard- working citizens, including himself. Later excavation of the site by the Scottish Urban Archeological Trust (following the 1979 closure of the Cinema House) revealed that the building was, in fact, built on top of the ancient remnants of mediaeval St Andrews. A 1984 archeological dig revealed 14th century remains including a well, a hearth and furnace, pottery, and a bronze horse pendant. 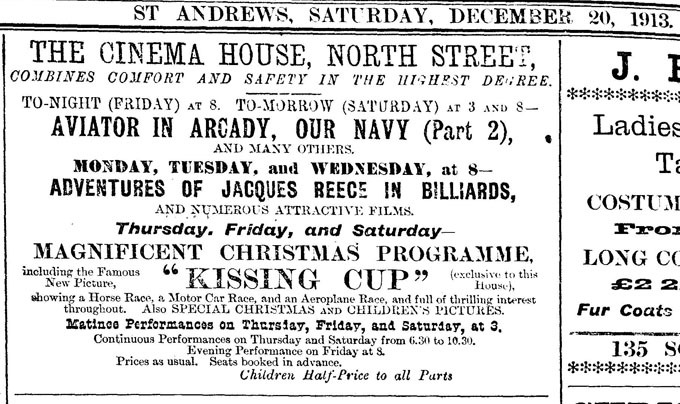 So while the design and function of the building might have been modern, the Cinema House was very much rooted in the ‘ancient character’ of St Andrews. 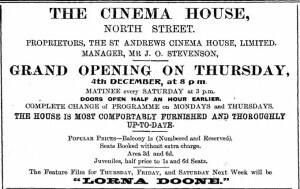 After the success of its opening, the Cinema House was to be a fixture in the St Andrews film community until it closed in 1979.